This post has already been read 6773 times! Roy Machamire was frustrated by the stories coming from his home country. The poverty, famine and mass unemployment caused by former President Robert Mugabe’s political strategies didn’t reflect the Zimbabwe he remembered from his childhood. Corruption, a failed land redistribution plan and international sanctions had crippled the African nation’s economy, creating instability and forcing many people onto the streets. 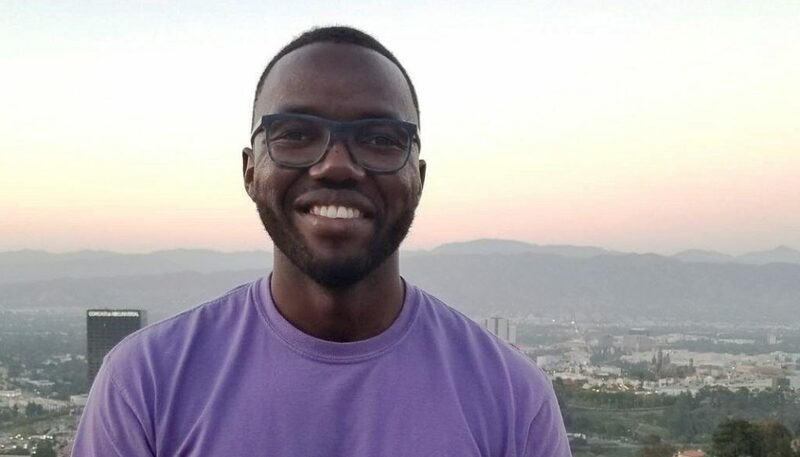 “Everything just went south,” said Machamire, who moved to the United States in 2006 to attend college and pursue opportunities that weren’t available in Zimbabwe. Machamire spent time in Omaha and Grand Island before enrolling at the University of Nebraska at Kearney, where his older sister Beatrice Machamire-Ogomo earned a bachelor’s degree in accounting. He was ambitious during his time at UNK, triple majoring in mathematics, finance and economics and graduating with honors in 2013. Machamire went on to graduate school at the University of Nebraska-Lincoln then started his career with Humana in Louisville, Kentucky. About two years ago, he accepted an actuary position with the nonprofit health care organization Kaiser Permanente and relocated to Denver. 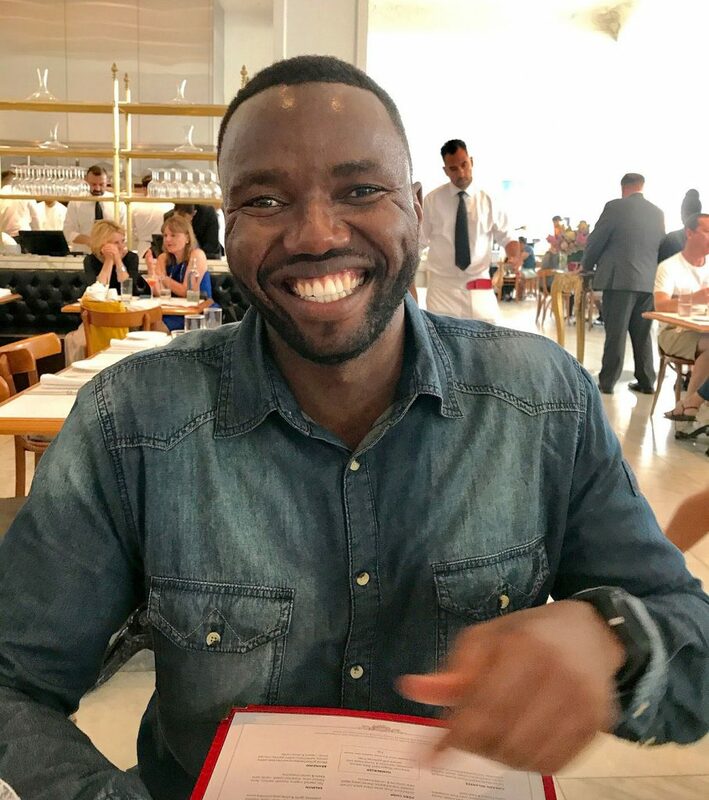 The UNK alumnus was focused on his new life in the U.S., but he couldn’t ignore those stories coming from his parents back in Zimbabwe. One in particular stood out. It was about an old friend who was orphaned in high school, a promising teen with limited options in their hometown of Chinhoyi. Machamire’s mother had recently seen the man selling tomatoes at the local market, shoeless and looking rough. “Hearing his story and knowing how talented he was and how his life turned out, it invigorated my own dream of helping out,” Machamire said. His sister Beatrice had the same dream. The siblings began discussing ways to assist Zimbabwe’s homeless “street children” and came up with a plan to provide food for the youths. As they talked a little more, they decided that wouldn’t be enough. Their impact had to be greater. Working together, Machamire and his sister founded the International Shine Bright Foundation, a nonprofit organization with a goal of building orphanages for disadvantaged children in developing nations. They recruited board and staff members, many of whom grew up in Africa, and received tax-exempt status as a nonprofit in February 2018. Machamire, who is already paying the fees so several children can attend school in Zimbabwe, has a specific vision for the group’s first orphanage. It won’t be too big – a limit of 10 children – so there’s a homelike feel and focus on each youth. The children will be enrolled in a local school while also learning life and trade skills at the orphanage. “Our main focus is to make sure each child gets access to what they need for growth and to pursue their dreams,” Machamire said. The foundation already has a piece of land in Rusape, a city of about 30,000 residents in east-central Zimbabwe, but approximately $50,000 is needed to build the orphanage. Machamire’s plan is to make the orphanage self-sustaining, with a well for fresh water and solar panels for electricity, as well as a garden and orchard. Animals, such as chickens and rabbits, would also be raised there. “I don’t want to build the orphanage and then go back and continue pouring in money,” said Machamire, who serves as chairman of the International Shine Bright Foundation. The 32-year-old recently wrote a book, “Through the Orphans’ Lens,” which he plans to sell on Amazon with the proceeds used to help get the orphanage off the ground. He’s also spreading the word about the foundation and its cause. 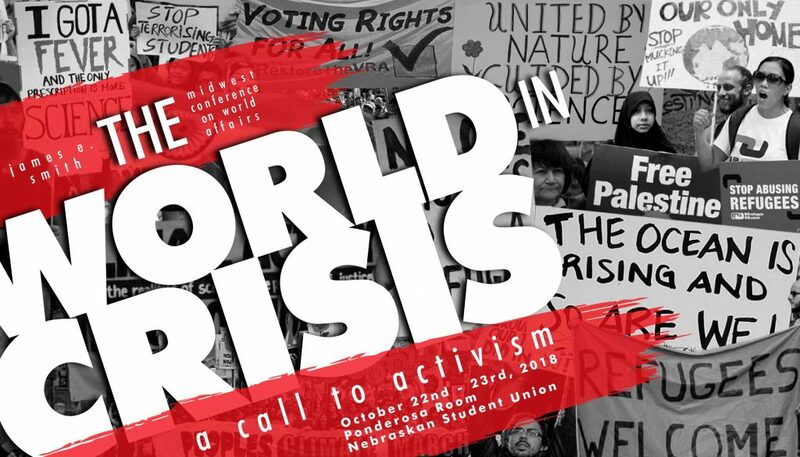 Machamire is part of the upcoming James E. Smith Midwest Conference on World Affairs, scheduled for Oct. 22-23 at the Ponderosa Room inside UNK’s Nebraskan Student Union. He and Ken Pitkin with the Callaway Nigeria Partnership Committee will present “Saving Lives and Dreams: Creating Opportunities in Nigeria and Zimbabwe” at 2:30 p.m. Oct. 22 inside Ponderosa Room E.
This year’s conference, titled “The World in Crisis: A Call to Activism,” challenges people to get involved with global issues and be part of the solution. It’s a message Machamire takes to heart. Everyone can make an impact, he added, whether it’s through volunteer work in Kearney or support for a larger initiative. “You can’t wait for the world to change with you doing nothing about it,” Machamire said. Roy Machamire is part of the upcoming James E. Smith Midwest Conference on World Affairs, scheduled for Oct. 22-23 at the Ponderosa Room inside UNK’s Nebraskan Student Union. He and Ken Pitkin with the Callaway Nigeria Partnership Committee will present “Saving Lives and Dreams: Creating Opportunities in Nigeria and Zimbabwe” at 2:30 p.m. Oct. 22 inside Ponderosa Room E. To view the complete conference schedule visit: World Affairs Conference.